"Fox, as in we're a bunch of foxy chicks. Force as in we're a force to be reckoned with. Four, as in there's one.. two.. three.. four.. of us." For great training videos and other skydiving related products and info come visit AdventureWisdom.com. We look forward to running into you there. 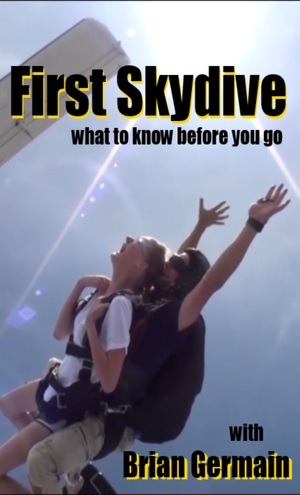 If you have never done a skydive but are thinking about giving it a try, check out FirstSkydive.info to learn more about skydiving and how to stay safe. Please check out our Steve Fossett tribute page. Also please help raise money for breast cancer research via Tunnel for the Cause 2007! Your support is greatly appreciated. Together we can make a difference. This link will take you to the donation page. Come out and Play! Blue fox invades SVNH! Want to know what the foxes are up to in 2007? Well...Pam's up in the great not so white north running square3 but she is still chasing bigways and is a plane captain for the 200 ways at Z-hills in March 2007. Portia, just got married to an awesome guy and she adopted the sweetest, lovable yet psycho dog named Chloe. Laura, just bought a new house with her boyfriend and has been traveling around causing trouble and spreading smiles as usual. Karen is still down in NC with her man and she is really proud of her son who is of finding his way in the air force. Lauris is off running marathons and doing what ever it is that she does. Dr. Nadia moved to Georgia with her husband Robin where they bought a house and she works as some professor or something. (goes to show not all babes are brain dead) Brenda and Rhonda, got married also but that's old news. The Foxes might turn up on some competition circuit this year but its all for laughs and giggles but keep your eyes open for those purple jumpsuits making their way to the plane on formation loads. Its all about the bigway baby. (oh and the 4-ways, freeflying, canopy flying, tunnel flying, funnel flying and the like.) You get the picture. The Foxes wish everyone a year full of happiness and smiles for 2007! Fox Force 4 would like to thank all our Sponsors!